Outstanding innovations attract a large audience, and this is exactly the case with the Twistscraper presented in this homepage, which was invented by the Swiss Daniel Stocker. 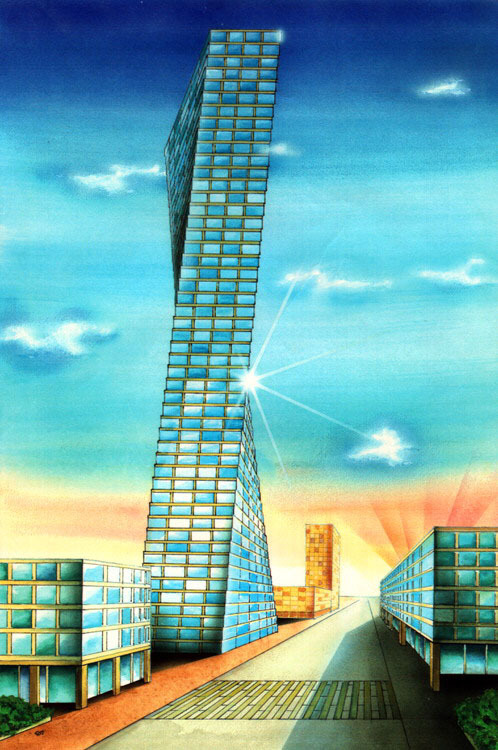 This skyscraper design with its unconventional, but phantastically aesthetic spiral shape, fits very well into our time at the verge of the third millenium. The Twistscraper is undoubtedly more of an object of art than a building and gives a feeling of luxury, which is just what successful entreprises and persons look for. If you are an architect, a consultant or a representative of a company in the building construction field and would like to learn more about the Twistscraper, then please click the button "Contact" at the left.